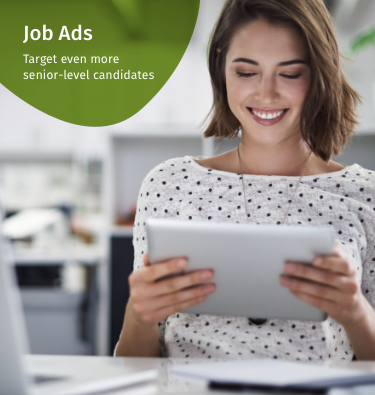 Benefit from the perfect combination of active sourcing and job advertising. Over 1 million senior-level professionals. Active sourcing perfectly combined with job advertisements. Discreet and trusted recruiting platform for direct communication. Through the innovative approach at JobLeads, we receive applications from potential job-seeking candidates. The platform is convincing and easy to use, provides us with expert advice, and implements our wishes quickly. We receive highly qualified applicants from JobLeads. We value the user-friendly platform and are completely satisfied with the service. The JobLeads concept really convinced us. Publishing our job vacancies via the JobLeads network increases the presence of our employer brand. In addition, we are delighted with the trustworthy and uncomplicated cooperation. JobLeads reliably and professionally supported us in the search for candidates in a difficult market environment. The recruiting concept really convinced us. 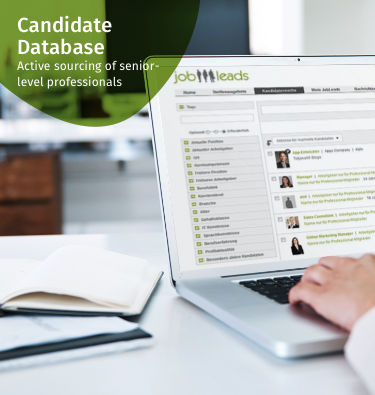 Access to over 500,000 profiles of qualified candidates. Intelligent filter options for optimal search results. Comprehensive candidate management in project folders. Search agents will inform you via email about new candidates fitting your search profile. Reach more than 1 million quality business leaders and industry practitioners. Matching of suitable candidates and email distribution to active job seekers. Optional additional distribution to more than 100 partner sites. Custom template for your job ad and easy online management. 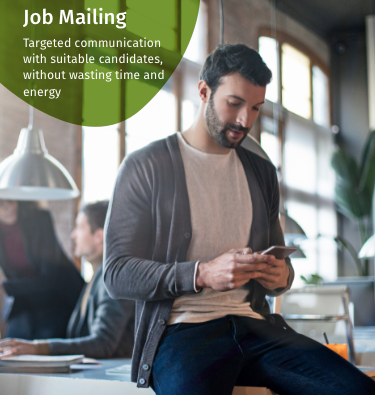 Tailored job mailing to a defined target group within the JobLeads community. Brand your mailing with a custom design. Link to your job ads on JobLeads. Detailed reporting to measure success. Reach your target group with e-Recruiting products from JobLeads. 17% of the candidates have professional experience in IT & Telecommunications, while 10% are in the Banking & Insurance sector. Other fields with a strong presence: Consulting (10%), Automotive (9%), and Mechanical Engineering (4%). JobLeads helps you to reach candidates in any field. The JobLeads community is widely qualified across all areas of expertise. Get in contact with specialists and executives with the right key qualifications. Our target group is experienced professionals and executives. JobLeads candidates have extensive experience in project management and leadership positions. JobLeads members are highly trained and highly qualified. 90% of the candidates have an academic degree. Your request for a callback has been sent successfully and will be processed promptly. Please enter the email address with which you have registered with JobLeads and then click the submit button. You will receive an email with a link that allows you to create a new password. For your email address there is a recruiter account as well as a jobseeker account registered at JobLeads. Please specify which password you forgot. We have just sent an email with a link, with which you can set a new password. Please wait a few minutes and click on the link in the email to choose a new password. It may happen that your mail provider classifies the email as spam. Please also check your spam folder.